A savvy and skillful advisor in the complexities of real estate incentives, David is sought out for his knowledge in financing, development and construction. He has made his mark on a number of well-known projects located in the Midwest. 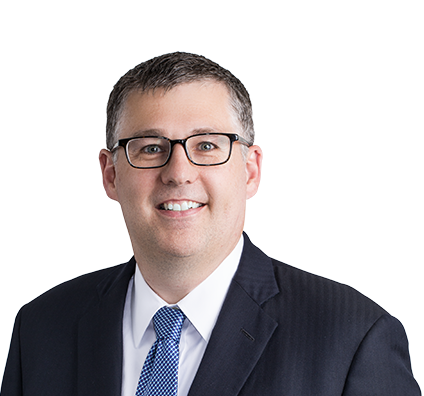 David began his legal career exclusively representing cities, counties and other governmental bodies in land-use and development issues and uses this knowledge to get results for clients. He represents developers and municipalities in land use, real estate and related litigation matters. David’s personal ties to this industry stem from his employment as a historic preservation planner prior to attending law school. Advising the City of St. Louis, Mo., in a redevelopment project that could engulf more than 1,000 acres on the city’s north side. Advised company in securing the first-ever state historic tax credit issued by Illinois for restoring historic hotel in Peoria, Ill.
David’s broad knowledge comprises real estate transactions such as purchase, sale, leasing, construction and financing. He represents clients in the structuring, negotiation and documentation of secured and unsecured loan and credit facilities. David also handles a variety of tax credit matters, including state and federal historic tax credits, low income housing tax credits and New Markets Tax Credits. In addition to counseling clients, David frequently speaks on land use and real estate issues at conferences and seminars. He is a member of the firm’s Partner Board. Retained by the public-private economic development partnership coordinating response to a RFP for production of the Boeing 777x aircraft. Worked with representatives from the State, County, Municipal and private sectors to prepare incentives packages for three proposed scenarios, the largest of which entailed an investment of $8.5 billion and the creation of over 7,000 jobs. Represented developer on the redevelopment of a former Chrysler auto plant in Fenton, Mo. into a multi-modal center and logistics park. Transaction involved multiple layers of state and local incentives. Assisted the city of St. Louis in successfully negotiating the complex acquisition, sale and financing of a 1,081-room convention headquarters hotel. The creative financing structure involved the federal Department of Housing and Urban Development, the St. Louis Area Enterprise Zone Board, the Missouri Department of Economic Development, the Missouri Development Finance Board, the city of St. Louis and several private lending sources. Retained to structure the governmental incentives provided by the city, county and state to support development of the $400 million Busch Stadium and special development counsel to the City of St. Louis, Mo., with respect to the related Ballpark Village project, a $600 million mixed-use district north of the new Busch Stadium. Transaction involved negotiation, adoption and implementation of a number of financing incentives. Assisted the city with $18 million of Missouri Downtown Economic Stimulus Act (MODESA) bonds; transaction included clawback provision for risk management. Representation of non-profit organization on an $8.2 million scattered site affordable housing project in St. Louis County, utilizing 9% Federal and Missouri LIHTCs along with Port Authority Funds. Represented McGowan Brothers Development Corp. in $25 million residential redevelopment of a vacant building in downtown St. Louis, as well as the capitalization of two new businesses located in that building. Wide variety of public and private financing sources analyzed and secured for project. Counseled EM Properties in securing the first-ever state historic tax credit issued by Illinois for restoring the historic Hotel Pere Marquette in Peoria, Ill. Represented the City of St. Louis as special counsel in tax increment financing redevelopment project involving nearly 1,100 acres on the city’s north side.